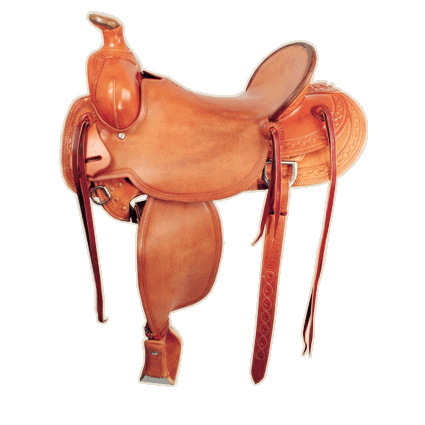 With its thick, high rounded swells, this is an offshoot of the old Severe bronc saddle that is well known in the Northwest country. This Modified Association tree has become a standby for swell fork loving cowboys. The Pendleton’s narrow seat makes it nice at the end of a long day in the saddle. 8½” high by 6¼” wide (regular (narrower). QH and FQH available). #4 post Dally and 3½” finished cap. 4½” by 13″ (higher and wider available). 7/8 Hamley flat plate with flanged rear dee standard (other styles available) brass and stainless steel. 3″ rawhide bell others available. 3″ full regular standard. Others choices are available.